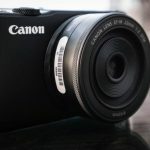 Home / News / Canon M100: the mini EOS M Mirrorless is coming! 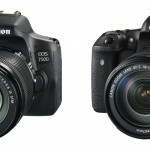 Today, Canon announced the release of a new entry-level hybrid camera which will become the newest member of its EOS M product line: the Canon M100. Equipped with a 24.2 megapixel APS-C sensor, the EOS M100 seduces by its compactness and cuteness in addition to incorporating much technology which was developed for higher-end mirrorless cameras. It measures 10.82 x 6.71 x 3.51 cm and weighs in at 302 g (without a lens). It is the smallest and most lightweight of all of Canon’s hybrids. In fact, this camera more closely resembles a conventional compact camera than a hybrid. The EOS M100 makes use of the same sensor and processor as the M5 and M6: 24 megapixel CMOS APS-C sensor and DIGIC 7 processor. This endows the M100 with Dual Pixel AF technology which results in a responsive, versatile and precise autofocus – especially in Live View mode. This camera has 49 AF points arranged in a 7×7 grid. It is possible to choose between single point AF, a 9 point (3×3) zone or manual AF via its 1.04 megapixel 3 inch touchscreen. A facial recognition and tracking mode can also be activated to facilitate portraiture. The EOS M100’s burst mode is a little bit slower than that of its bigger siblings: 4 fps and up to 6 fps when the AF setting is locked-in based on the first image. This camera’s ISO sensitivity range extends from 100 to 25600 ISO in photo mode and from 100 to 6400 ISO in video mode. This camera’s ergonomics resemble those of a compact camera – with the fewest possible buttons and dials. All of the settings are adjusted via the menus and the touchscreen. Its interface is minimalistic and puts a lot of emphasis on automatic modes as well as enhancement filters (portrait, smooth skin, landscape, fish-eye, soft-focus, etc.) as well as fast file sharing with smartphones (via Bluetooth and WiFi) in order to be able to upload photos to social networks or to share them in other ways. The EOS M100 is compatible with all EF-M lenses, but also with EF-S lenses – with the help of an EF-EOS M adapter. 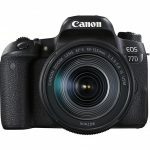 In this way, this camera is capable of using all currently available Canon lenses. In video mode, this mirrorless camera is able to record in up to Full HD 1080p definition at 60, 50, 30, 25 and 24 fps. It also has a micro HDMI port as well as a microphone jack. Flash photography aficionados should be aware of the fact that this small EOS M camera does not have a mount for accessories, and therefore cannot be used with a cobra flash. Moreover, the recycling rate of the built-in flash is 5 seconds meaning that you can’t be in too much of a hurry when using it (not a major loss, since the effectiveness of built-in flashes is mediocre at best, except as a source of fill-in light). The lack of an accessories mount also means that Canon’s electronic viewfinder – which is compatible with the EOS M5 and M6 – cannot be used on this camera. 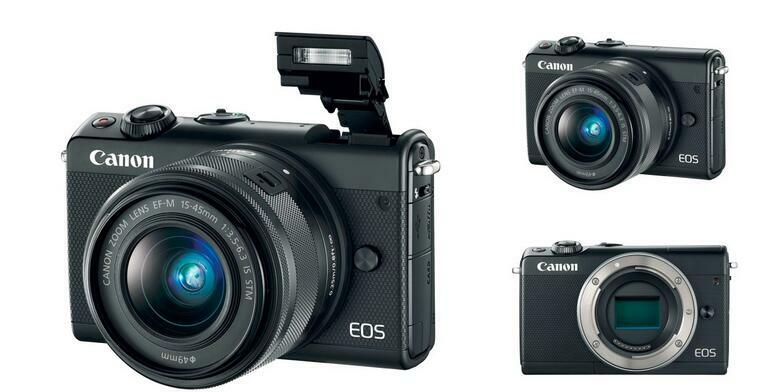 The EOS M100 is the newest product in Canon’s EOS product line. It is a very cute device geared towards the “general public” and which aims to seduce photographers looking for a simple device with the quality of a reflex camera. Because this is indeed what Canon is offering with its EOS M100 model: the sensor of the M5 in the body of a compact camera. Add to that its touchscreen which pivots over 180° (for taking selfies or for vlogging) and you end up with a very small mirrorless which can be taken anywhere, especially if you mount the Canon EF-M F/2 STM on it. 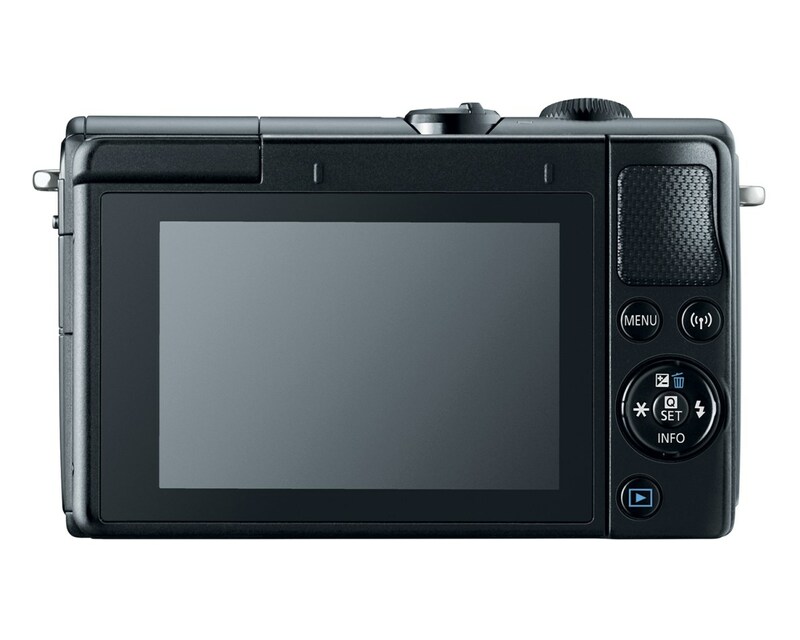 The segmentation of the EOS-M product line is somewhat regrettable: it is necessary to go though the touchscreen to make any kind of adjustment to the settings, which will undoubtedly lead many users to remain in auto mode out of laziness. We will be able to test this theory out when we get our hands on the EOS M100. It would also seem that Canon is mainly marketing this camera to women, as evidenced by this presentation video as well as the first tests conducted by Adorama and B&H, two American photo shops.